E. B. Moore was born on a farm near New Hope, PA, and is a recent graduate of the Novel Incubator program at Grub Street, Boston's independent writing center. A retired metal sculptor, she is also a graduate of the school of the Museum of Fine Arts, Boston. Moore's first book of poetry, New Eden: A Legacy was published by Finishing Line Press in 2009. Her work has appeared in literary journals including The Drum and Inkwell, as well as two anthologies of writing taken from the William Joiner Workshops. She has been a resident at Yaddo, and was accepted to the Vermont Studio Center residency on full fellowship. 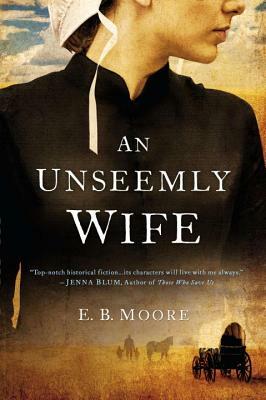 An Unseemly Wife is based on the life of her Old Order Amish great-grandmother. “A breathtaking epic...A transporting, dramatic and thoughtful read—just the way I like them.”— Nichole Bernier, author of The Unfinished Work of Elizabeth D.